Premium design store XTRA operates within Singapore’s Marina Square shopping centre, at 6 Raffles Boulevard. 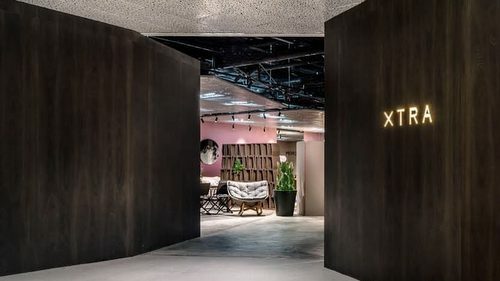 Founded in 1989, XTRA is today a mainstream store offering a carefully curated range of global lifestyle & design products for both homes and offices. The main product categories at the shop are Accessories, Beds, Kids, Kitchen, Wardrobe & Bath, Lighting, Outdoor, Seating, Storage, Tables, and Work. XTRA sources these products from brands such as Alivar, Andreu World, Artifort, Carl Hansen & Son, Dedon, Desalto, Diesel with Foscarini, Diesel with Moroso, Flou, Foscarini, Gervasoni, Herman Miller, Kettal, Lapalma, Louis Poulsen, Magis, Miniforms, Montis, Moroso, Parachilna, Tom Dixon, and Tribu. The official Facebook brand page for XTRA is available at www.facebook.com/XTRADESIGNS. XTRA also has an official Instagram account, which in turn is located at www.instagram.com/xtradesigns/.